An awareness campaign on the effect of Ecstasy – the challenge was targeting such a serious topic towards teens and young adults. We developed the campaign around the fact that Ecstasy only gives you a false sense of happiness, and used real people’s experiences to fuel the campaign. Worked in collaboration with Ashley Williams. 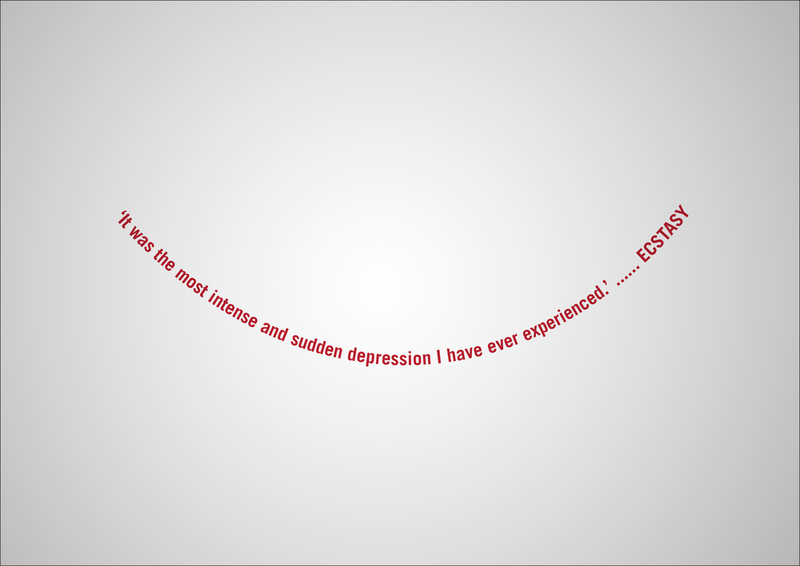 Supportive posters that used real quotes from Ecstasy users.